Lucknow’s wonder Niharika Gupta takes on the onerous challenge of offering stitchless finish and updates classics in her label Notebook. By Asmita AggarwalNiharika Gupta was fascinated by the fact that one good design could work for all body types, no matter how diverse or disparate they were. 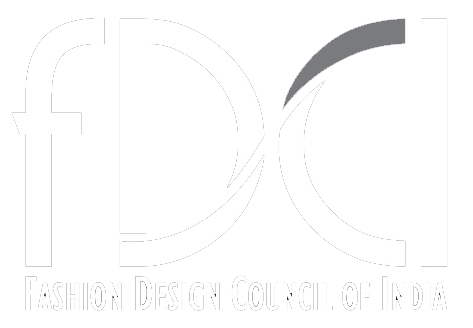 She was a devotee of crisp and minimal clothing, and FDDI (Footwear Design Development Institute), Noida gave her the impetus to explore this master plan. What honed her skill was the four years she spent working with Lovebirds, Hemant-Nandita and Bodice. Armed with design knowledge and a will to be an entrepreneur, she launched her label, Notebook, in the beginning of this year and a first timer at LMIFW is bringing in simplicity with pattern-centric ensembles. Think stitchless finish and updated classics that will last you a good five years or more! 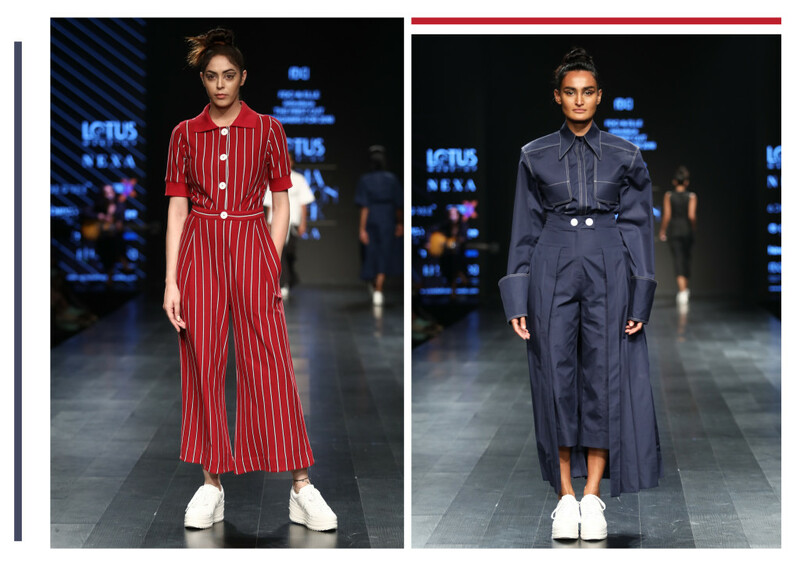 The beauty of Niharika’s thinking is that she takes an existing form and turns it around like the polo shirt and a formal suit into a jumpsuit, a tee into a dress or a coat into a double layered dress. Ingeniously she largely works with menswear fabrics from checks, plaids, stripes, terry-rayon, things that need no surface development. Vintage is her theme for LMIFW, but not what you generally associate it with —– ruffles and opulence, Greta Garbo-esque mystery, but the time when men went to war and women came out to work. That’s why there are military greens, oxford blue, pin stripes mashed up with sunshine yellow, azure blue and bubblegum pink in her line ‘Zero One’. “The idea was to explore the space between zero and one, and how in your wardrobe you build it slowly according to distinct likes to reinvent and wear something new each day,” she explains. Everything in Niharika’s mind space is a result of her rather unpretentious upbringing in Lucknow to a housewife mom and dad, who had a government job. The interest to dress Barbie grew with the restlessness to understand pattern manipulations and offbeat construction methodologies. She admits she was a geek and her parents wanted her to pursue engineering as she was academically, a bright student. But in school she decided it was fashion that would be her calling, even though her other two siblings has no interest in her pursuit. “I was the odd one out, short hair, always questioning the status quo and even though my parents found my career choice unstable they supported me,” she confesses. Notebook, signifies a uniform a code that gives you empowerment making you feel a part of something, you can wear daily. “Growing up in a small town, my work has no cultural resemblance though I was quite particular about what I wore. Embroideries, colours and embellishment were far removed from my wardrobe, and I wondered why boys were always comfortable and women had to be shiny even in the day,” says the 24-year-old. This dichotomy made way for Notebook, where even though androgyny has been excavated to its depth, there is still more that gets revealed when you look harder. “Young women desire sleek, refined clothing, uptight is really out,” she concludes.